Our current vacancies are listed below. 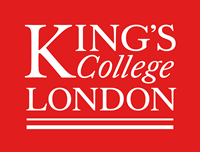 For further details about each job, and to apply, you will need to follow the link to the King’s College London HireWire job board. Contract Type: This post will be offered on a fixed-term contract for 24 months. We are seeking a talented, ambitious and highly skilled postdoctoral researcher to join a dynamic research group investigating the human epigenome and its relationship with diet, genetics, transcriptomics, and multiple clinically relevant traits. The post is funded via a collaborative grant led by us at KCL, funded by HDHL JPI and the post holder will therefore also join our established international multi-disciplinary consortium in nutri-genomics. The project investigates causal impacts of dietary intake on epigenetic regulation of gene function across tissues, and their impact on subsequent cardio-metabolic health outcomes – building on previous work from our research group and consortium partners (Wahl et al. 2017 Nature). The focus is on computational analysis of epigenetic data from: (i) targeted postprandial and nutritional intervention studies that tackle the causal relationships between diet, epigenetic modifications and gene function, in combination with (ii) state-of-the-art analyses to characterize the links between diet, epigenetics, and cardio-metabolic health in extensively studied cohorts. The project utilizes unique multi-dimensional datasets from nutrition trials and international cohorts, including TwinsUK with over 1,500 deeply phenotyped twins with epigenetics, as well as whole genome sequence, transcriptomic, metabolomic, and gut microbiome profiles in a sample subset. The ideal candidate should have a strong background in one of the following fields: epigenomics, transcriptomics, genomics, nutri-genomics, statistical genetics or genetic epidemiology. The post is available for 24 months in the first instance. We are seeking a highly motivated and skilled Post-doc to work on analysing the world’s largest personalised nutrition study within one of the top Research Departments in the country. Up to 2000 twins from TwinsUK cohort are being studied for their individual responses to food and the analyst will work with a multidisciplinary team to predict food and health responses for individual personalised health. The successful candidate should have a solid background in nutrition and have acquired skills in statistics, computing and epidemiology allowing them to interpret large data sets. In addition they should already have an excellent track record in writing, analysing and publishing research articles, as well as experience in interpreting microbiome and metabolomics data. They should be hard working, flexible and able to work in a multi-disciplinary team. If you are interested in applying for an internship, please send your CV along with a reference confirming your current area of study or research and your progress from your current tutor or employer to victoria.vazquez[at]kcl.ac.uk. Please include the referee’s contact details. Your application should also indicate your preferred area of work, when you would like to start, how long you would like to work with us (minimum of one month), how many days or hours a week you can contribute.